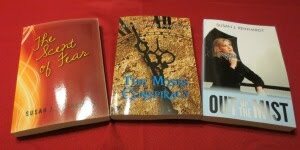 Christian Writer/Reader Connection: A GIVEAWAY! Patti Lacy emailed me yesterday and offered to do a giveaway! 1. Instead of two chances to win by commenting on the interview posts, I'll give you a third if you comment here as well. Post it on Facebook and Tweet it, and I'll give you another two entries, but you must comment on at least one blog post and inform me. 2. This giveaway is open to residents of the U.S. only. 3. Include your email address in your comment, using the spam busting format. If you don't leave an email address, I'll assume you do not want to be entered into the giveaway. 4. The winner will be drawn on Sunday, January 29, 2012. The giveaway is void where prohibited, and the winner takes all responsibility for their eligibility. 5. I'll notify the winner via email and post the results on my blog. Disclaimer: I received no remuneration for doing this interview or giveaway. Those who have already commented are automatically entered, but I ask you to stop by and leave your email address. Don't miss this great opportunity to read one of Patti's super books! Anyway, have fun girls, great job! Thanks so much to Patti for this chance to win! Thanks to Susan doing these interviews. I learn so much from them. Thank you both for this chance to win! What fun, count me in! :) Love to you both! Hi Marja - Ooo, maybe next time you'll be back in California. Hi Kristen - You're welcome. They're a lot of fun for both me and the readers. I hope the authors enjoy them as well. Hi Karen - So far, you have two entries. the books look great. Thanks for doing this giveaway. Have a great rest of the week. 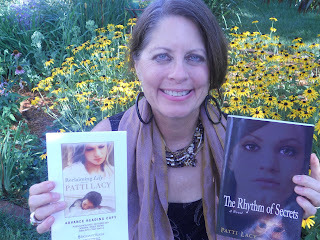 Hi Nikki - I enjoyed Reclaiming Lily and marveled at how authentic Patti made the characters. Hi Sonia - Oh, thank you! I'll pop over to see you. Marja, oooh, shoot! Kristen, you are welcome! Loree, ditto! Karen, waving! Susan, love your sad dog photo:) Sarah, love your HAPPY dog photo:) Sonia, whoopee! Thanks! !